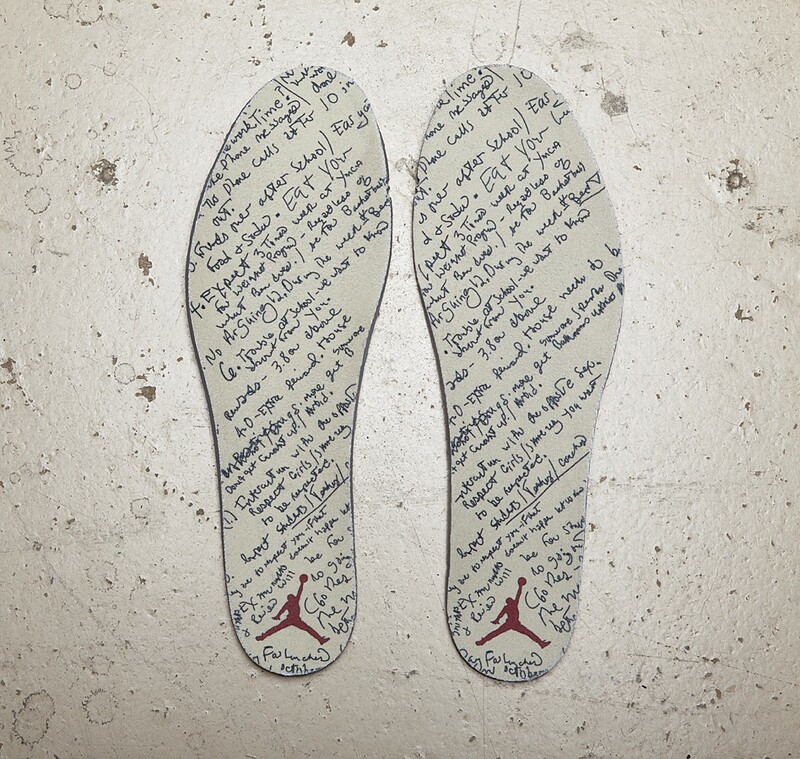 Derek jeter will continue his quest for 3,000 hits tonight with some very special gear from the Jordan Brand. Derek Jeter has it all. 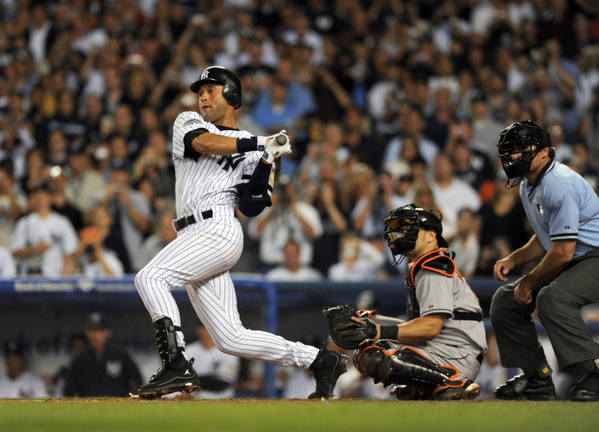 He's spent his entire career with the New York Yankees, he's a 12-time All-Star, five time World Series champion and has a ton of other accomplishments under his belt. One milestone Jeter hasn't reached though is the coveted 3,000 hit mark. Only 27 players in the history of the game have reached the mark, with Jeter on the quest to become the next to celebrate the rare feat. Only three hits shy, Jeter will hit the field tonight with some special gear from his longtime family over at the Jordan Brand. Fittingly enough, the Jordan Jeter Cut is seen dressed in a black nubuck, with hits of metallic gold accenting throughout. A special sockliner was also added for this special moment in Jeter's career, seen displaying a contract he signed with his father before his first day of high school. 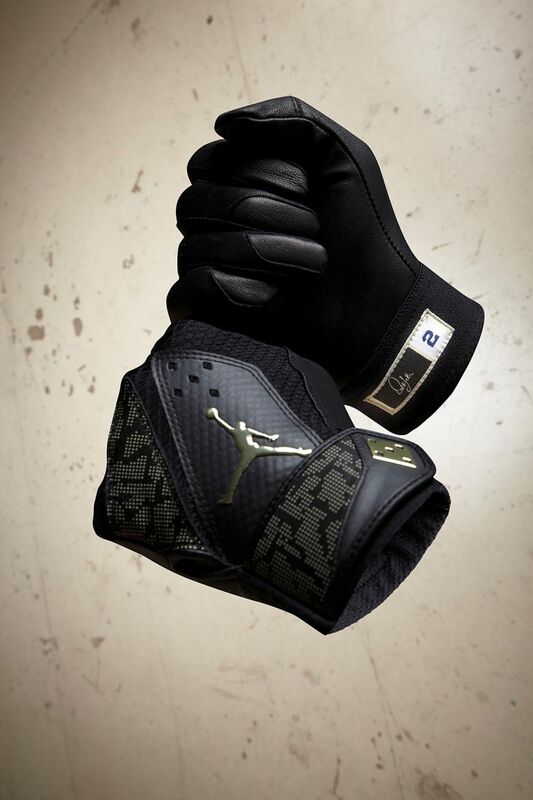 Jeter will also get his 3.000th hit with some very special batting gloves from the Jordan Brand, seen below in black and metallic gold as well. Get a look at the Jordan Jeter Cut 'DJ3K' edition below, and be sure to keep it locked to Sole Collector for continued coverage on Derek Jeter's quest for 3,000 hits.